“Sherlock Holmes: A Game of Shadows” is everything we feared the first “Sherlock Holmes” would be before it was released in 2009: loud, obnoxious, overblown, action-riddled, overtly comedic, disrespectful to the source material, and above all, stupid in ways only a pandering American production could be. 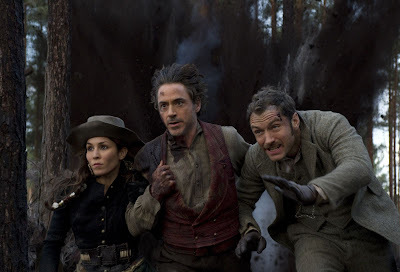 For me, it is by far the greatest disappointment of 2011, because I loved Guy Ritchie’s first “Sherlock Holmes” film. Though the advertisements promised everything mentioned above – i.e. a bad movie only loosely connected to Arthur Conan Doyle’s creation – Ritchie instead delivered a smart, literate, stylish, and extremely thoughtful interpretation of the classic character. It had its action beats, but they revolved around Sherlock’s intellect, and though sometimes humorous, the laughs came from organic character interactions. The ingeniously plotted narrative felt like an authentic Doyle story, if on a more cinematic scale, and the film’s production design, an impeccable recreation of Victorian London, displayed a truly remarkable mastery of mise-en-scene. I could go on and on. It was one of my top ten films of 2009, and having watched it again today in preparation for the sequel, I was once again struck by what a creative yet faithful “Holmes” film Ritchie crafted. 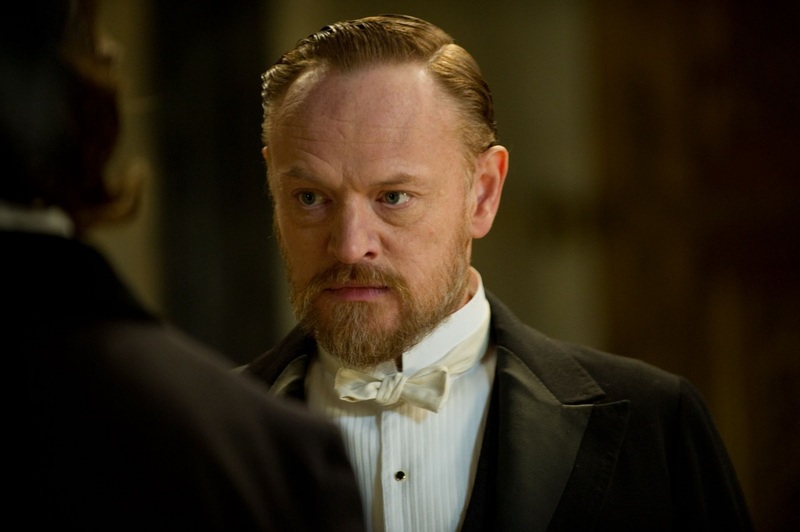 “A Game of Shadows” picks up where the first film left off, with Sherlock Holmes (Robert Downey Jr.) deep in the throws of an investigation into Professor Moriarty (Jared Harris), the “Napoleon of crime” and the only person alive whose intellect matches Sherlock’s. Holmes suspects that Moriarty is behind a series of terrorist bombings across Europe, but his investigation comes at an inopportune time: Dr. John Watson (Jude Law) is getting married, and Moriarty is determined to stop Sherlock by destroying his best friend’s happiness. Lest this review get too dark too quickly, let us cover the few truly standout elements of the movie: first and foremost, Jared Harris is simply terrific as Moriarty, just as I suspected he would be. Harris simply oozes intelligence and menace in equal measure, and provides Robert Downey Jr. with a wonderful verbal sparring partner. Their scenes together, few though they may be, are memorable highlights; the film’s last sequence, in particular, is absolutely brilliant, thanks in no small part to Harris and Downey’s chemistry (and the script’s singular exhibition of intelligent writing). The acting across the board is fairly strong (though the writing does Downey no favors), and the visuals are once again splendid, if less so than the first time around. Ritchie has extended his frame from the 1.85:1 lens used in the original movie to the wider 2.35:1 anamorphic frame, and at times seems unsure of how to fill the extra space. I preferred the more confident look of the first movie, though this sequel is no slouch in that department. My praise ends there, half-hearted as some of it may be. The key flaw in “A Game of Shadows” is the film’s inept tone: it is an action-comedy, through-and-through. Unlike its predecessor or, indeed, Doyle’s original stories, it is not a mystery, nor an intellectual adventure, and contains no serious character examination or development. It aims to please only on the most visceral level, so we open with an extravagant set piece, pause for a few minutes of exposition undercut by terribly unfunny humor, jump into another bombastic action sequence, pause once more, go back to the action, etc. The formula becomes tiresome after the first half hour, and is only intensified as the film moves along. The action is decent enough for what it is, but the set pieces are hollow, devoid of any narrative or character-based importance, manufactured only to thrill audiences on the most basic of levels. The story convolutes itself into knots trying to find openings for fights, shoot-outs, or explosions, creating a number of gaping plot holes in the process. It’s also worth noting that the amount and style of ammunition exchanged throughout is bafflingly anachronistic for 1891, but it’s a minor problem in the grand scheme of things. More troublesome for me was the humor. When the film isn’t concerned with blowing stuff up, it focuses on making the audience laugh, and the results are painfully unfunny from start to finish, primarily because the majority of the jokes come at the expense of honest or accurate character development and interaction. The script forces characters to act completely unlike themselves for a laugh over and over again, with Sherlock himself suffering the most. In the first film, Downey’s normally brilliant Holmes could be petulant or obnoxious, but those moments, while funny, also said something about the character and the unique way he sees the world. Here, Holmes is all-petulant-all-the-time, bearing far more resemblance to Inspector Clouseau than anything Doyle ever wrote. Even when the situation is deadly, Holmes is a buffoon, and by the time the film attempts to elicit laughter by making Sherlock ride a pony, I felt legitimately depressed inside. The relationship between Holmes and Watson is an empty recreation of their humorous but meaningful dynamic in the first film, and poor Stephen Fry is completely wasted on a horrifyingly cartoony interpretation of Mycroft, Sherlock’s older brother. The humor in the film is also, at times, disgustingly homophobic. It is disturbing to me how many times we are meant to laugh because two straight characters do something “gay,” or that the filmmakers found it necessary to make a joke claiming that gay men are disgusted by women. I thought Hollywood, of all institutions, might be a little more progressive. The wall-to-wall fighting, gunfire, explosions, and (failed) guffaws make no room for an intelligent mystery. Sherlock makes a few of his trademark deductions, but they are all very watered down, and for most of the film, his intellect goes only towards finding the next location for a set piece. Moriarty’s actions are horrific, but don’t display the levels of intellectual brilliance his character is supposed to possess. As mentioned above, all is rectified for the film’s climax, where Sherlock is suddenly Sherlock again, mind-bogglingly smart and collected, and Moriarty is his equal. Their confrontation is invigorating, bolstered by some wonderfully stylistic direction that harkens back to the first film. It’s all undercut by a terribly unfunny cop-out ending, but it’s still a fantastic scene, and is the only reason I’m not writing the entire film off. I have no idea what went wrong to make “A Game of Shadows” so disappointing. Was the film produced too quickly? Was two years too short a time to fashion a polished script? Did the studio mandate a more ‘audience friendly’ take on the material? The film certainly aims low enough for that to sound reasonable, though it would be very atypical behavior of the usually bold Warner Brothers. Whatever the case, “A Game of Shadows” is a failure, and makes me very worried about this franchise’s prospects going forward. This isn’t the “Sherlock Holmes” I love. This is the dumb American version of “Holmes” we feared we would be getting two years ago, and if this series is to have any longevity, which I still believe it could achieve, Ritchie and company will need a serious course correction the next time around. 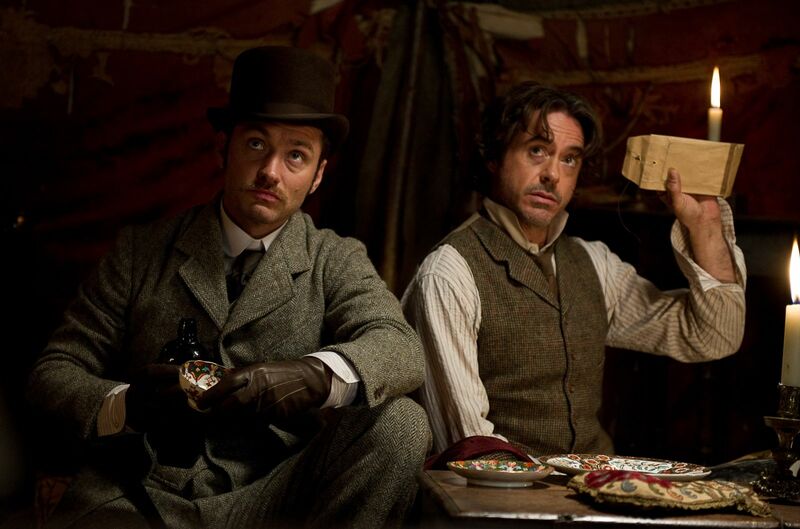 "Sherlock Holmes: A Game of Shadows" will open in theatres nationwide on December 16th.